Come on, Hina! There's still hope! So, I was speaking to my Japanese culture interested friends about J-Comi. I had asked for an update if the site went up, and apparently it did. Also, it apparently has some issues that a quick explanation made obvious. First, the site is using an affiliate purchase business model. That is, creators aren’t paid for clicks; they’re paid for purchases made through the clicks (and through the clicks only). This is a more difficult model and is making even testing the idea out a bit difficult, as Twitter posts shown on the site itself are suggesting. Second, the site relies on a model of PDF downloads rather than on-site hosting. I really, really hate to mention this, but to use one example, the now shut down copyright violating site Onemanga.com had a business model more in tune with the public: making manga readable completely on-site, through a browser, through page by page clicking (or arrow keys). Other sites that I will not name still survive, and put ads for things like free-to-play MMO’s without unduly angering the reader. Third, as these PDF’s are concerned, let me give my blunt opinion: low-quality PDF downloads are absolutely worthless for reading Japanese. They do have value in the strict sense of viewing the pictures but… people, this is not working. Low quality scans are often adequate for reading ENGLISH, but are completely inadequate for the human eye to properly read kana and kanji. Now, the site does feature high quality PDF downloads, and these are just fine to read on my 1650×1050 resolution monitor without squinting or annoyance. 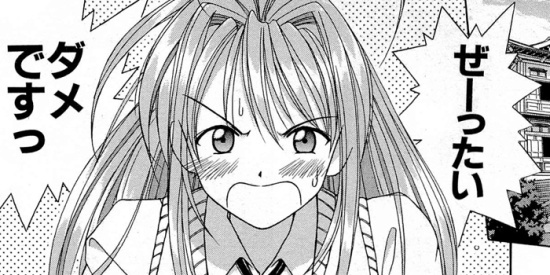 I plan to catch up on Love Hina manga and intend to support Ken Akamatsu’s effort however I can. While I’m not sure this is a problem, a site like this can only work if creators sign up. I know Ken said that creators could submit content easily by zip file, but I’m not sure if the sign-up process is smooth. Anyway, if that’s a problem, it needs solving. Finally, patience is required. Don’t give up, Ken!! Go to a pay-per-click ad model. It’s better. Make it easy for creators to create accounts. This entry was posted in Art, Blog News, Business, Culture, Japan, Japanese, Manga and tagged art, blog, culture, j-comi, Japan, Japanese, Ken Akamatsu, Love Hina, Manga. Bookmark the permalink.